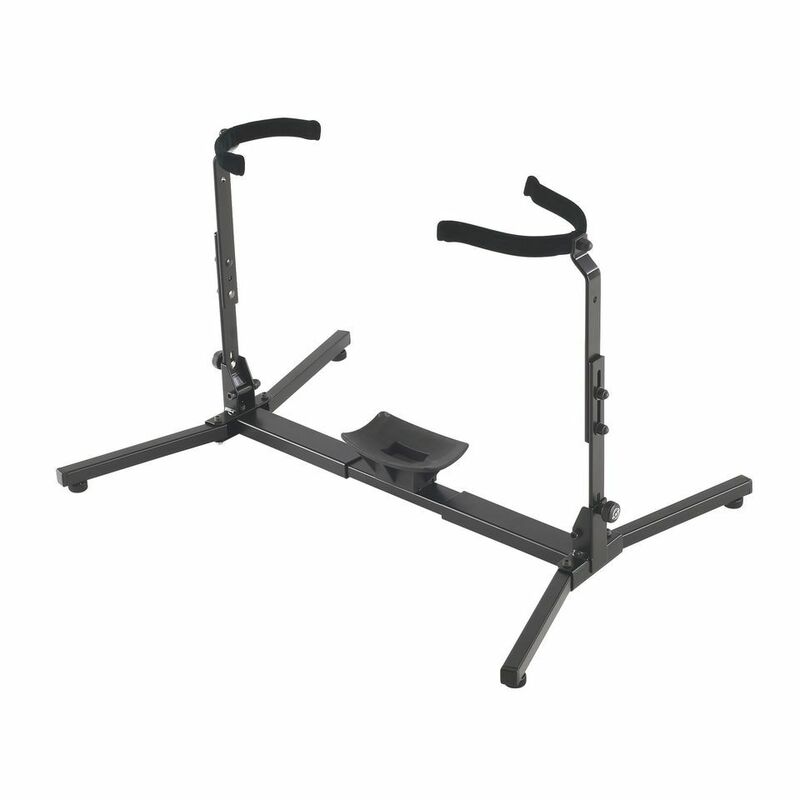 The K&M 14945 Kingsize Tuba Stand is a stand for a kingsize tube, made from steel with a black finish. The 14945 is a solid stand with leveling feet and easy to set up and fold. This tuba stand folds to 450mm only, and the support arms are adjustable in height and width, and velvet-covered. Offering a big bottom instrument support with non-marring material and bore hole for instruments with comb.